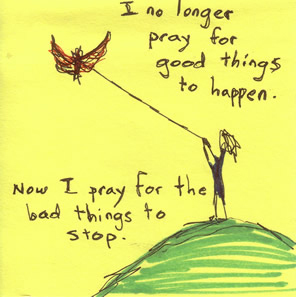 "I no longer pray for good things to happen. Now I pray for the bad things to stop." Purchase this amazing sticky note art on nifty T-Shirts, Attention-Getting Coffee Mugs, Beautiful Buttons and much, much more! .